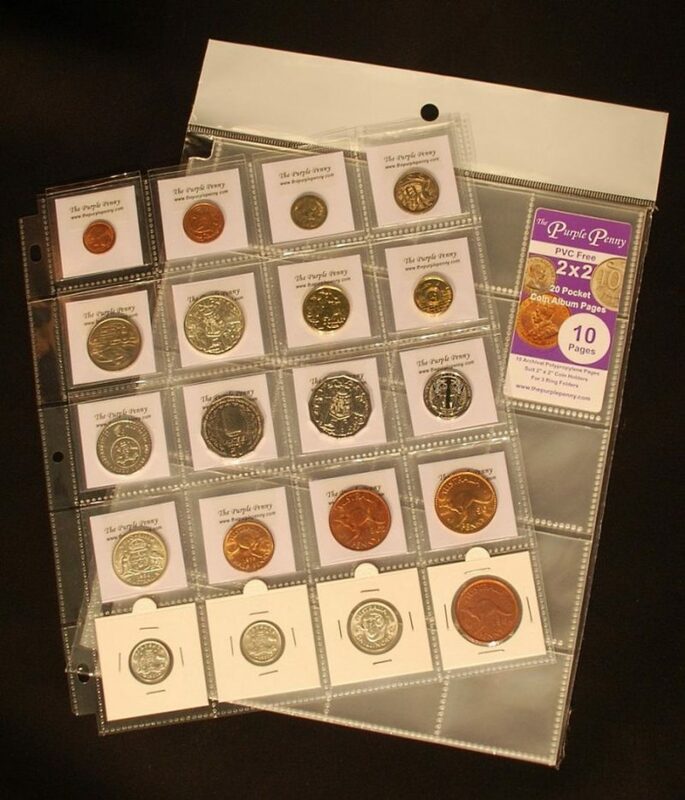 10 pack of PVC Free Coin Album pages. 20 pockets each page. 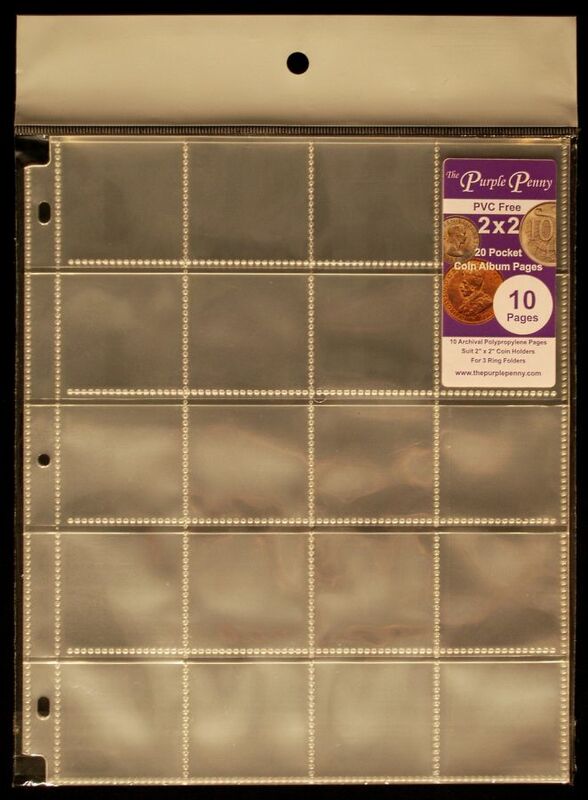 Suits 2×2 coin holders and 3 ring binders. Pockets fit 2×2 holders which are 2 inch by 2 inch or 5 centimetres by 5 centimetres. Page dimensions are 24 centimetres wide (incl. spine with holes) and 28.4 centimetres tall. Manufactured from polypropylene these pages will give 200 coins the protection they need in their 2×2 holders or 2 inch Saflips. 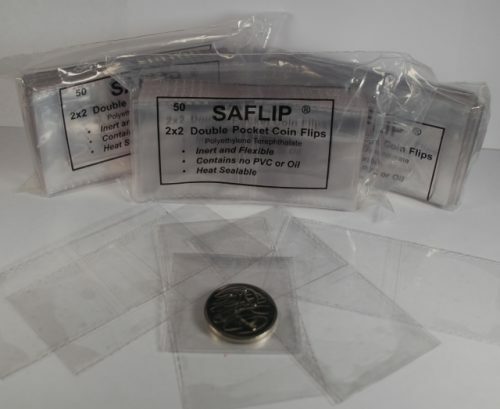 Coins, Saflips and cardboard 2×2’s as shown are for illustrative purposes only, they are not included in the listing. Use a Saflip instead of a Cardboard 2×2. Universal One Size Fits Most.